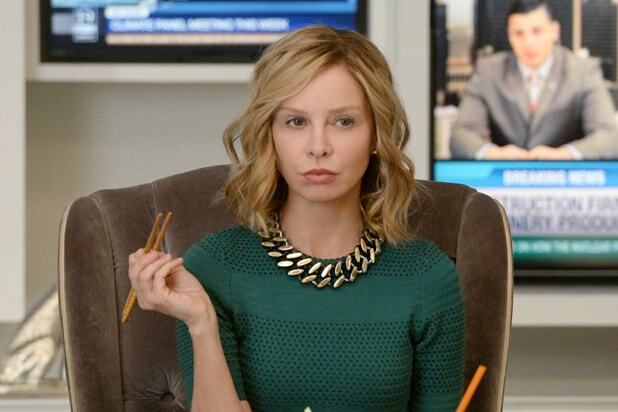 CW president Mark Pedowitz may have just revealed the first consequence of “Supergirl” moving from CBS to his network, as he played coy on whether Calista Flockhart would remain on the show for Season 2. With “Supergirl” moving production from Los Angeles to Vancouver, Flockhart’s status on the show, where she plays Kara’s (Melissa Benoist) boss Cat Grant, was called into question. Pedowitz also said “Supergirl” being on The CW is “where it should have been in the first place,” and predicts it will be one of the network’s top three ratings performers, though at slightly lower numbers than it was doing on CBS in Season 1. Pedowitz stressed television has “become a 52-week world” in his reasoning for holding five of The CW’s shows for midseason. Returning series “The 100,” “iZombie” and “Reign,” as well as new series “Riverdale,” were also left off of the fall schedule. The 2016-17 fall season begins in October for The CW, with “Supergirl” joining “Jane The Virgin” on Monday nights and new shows “No Tomorrow” and “Frequency” paired with “The Flash” and “Arrow,” respectively.